Howloween is right around the corner and I’ll bet your pets are yippin’ and nippin’ to get in on the fun. But he’s a good sport (as long as I give him some Nestlé Purina treats afterward!) and all up for a good cause and helping out his buddies at the shelter, since that’s where we got him. 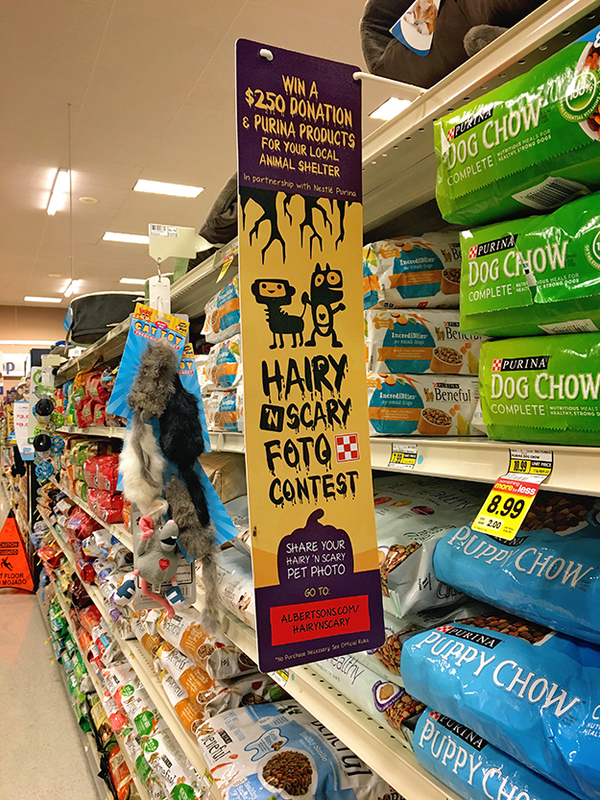 Your local Albertsons Safeway family of local grocery store is in partnership with Nestlé Purina and are holding a Hairy ‘N Scary, a pet photo contest this October. 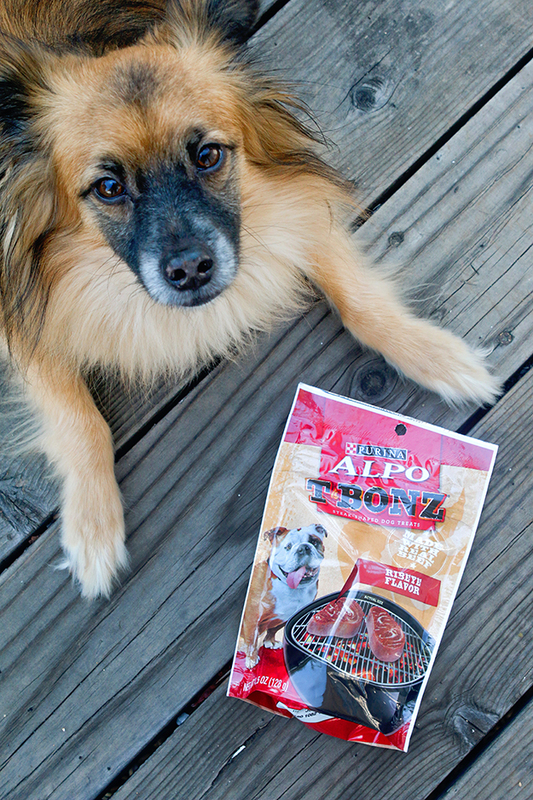 If you win (there are 13 winners) you will get a $250 donation along with ten (10) bags of Purina ONE® (16.5lb.) and ten (10) bags of Purina® Cat Chow® (16 lb. ), in your name, to your local, non-profit, accredited animal shelter or rescue to assist with housing, feeding, caring for, and finding families for dogs, cats and other lovable fur-babies (that’s a real word now, you know). 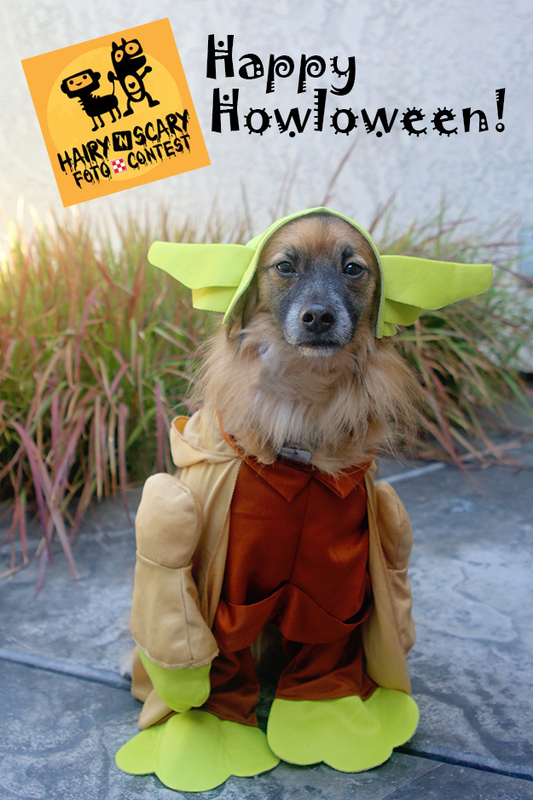 To enter all you need to do is post a photo of you pet(s) in costume (no need to make it expensive, just cute or scary!) through Facebook or Twitter onto a Fan Reel page. 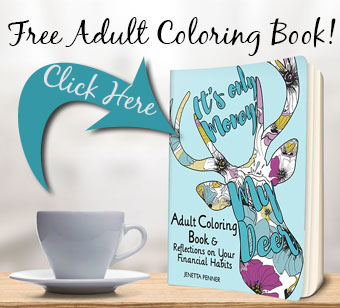 (Link Here). I shopped at my local Albertsons for Purina Products, but other check below for your local participating store. So head on over and check out all the fun entries. There are so many cute ones!! You’ll get a ton of ideas and maybe even win some great swag for your local shelter.